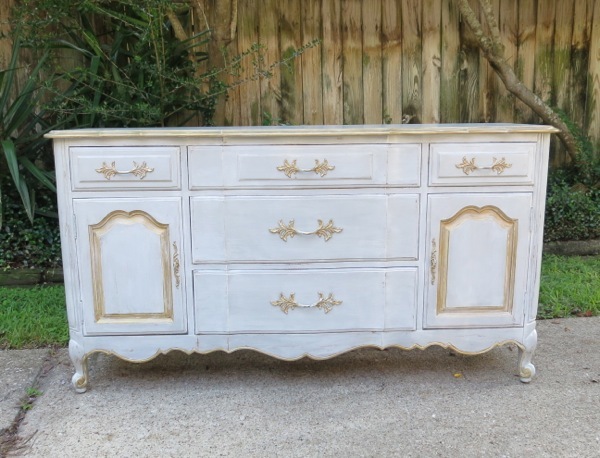 Stunning vintage French Provincial weathered gray long solid wood dresser which would also work beautifully as a changing table or credenza. 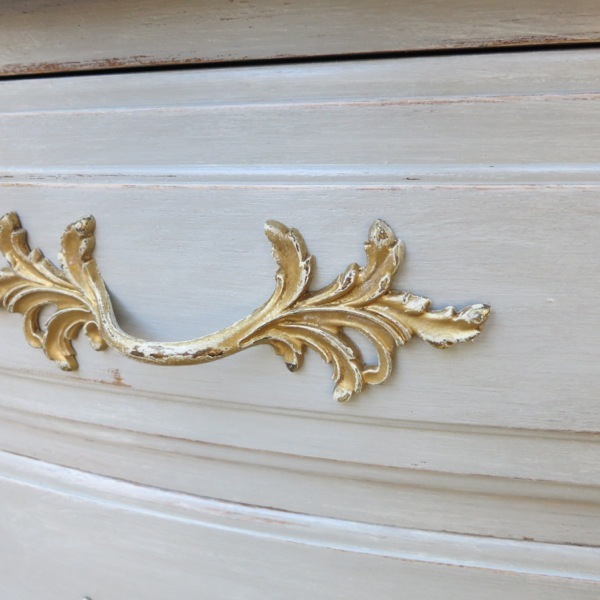 French weathered gray finish with distressed gold detailing and accents for a perfectly aged patina! 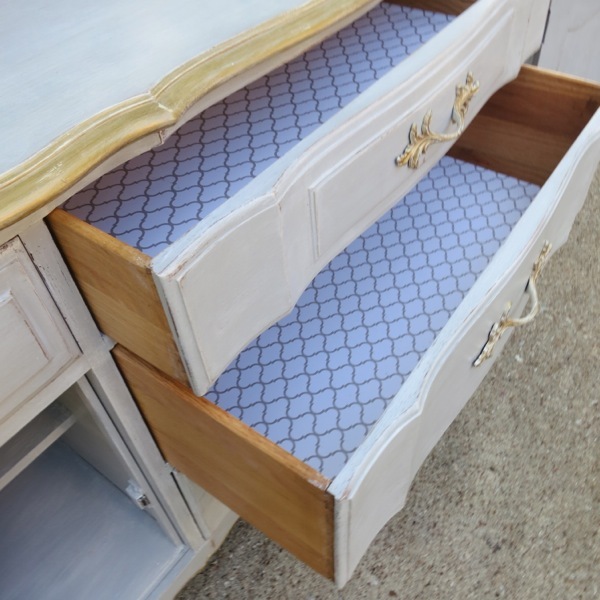 Both of the cabinets have a shelf for additional storage, the drawers are dovetailed and all have dust guards. Please contact us for additional pictures and if you would like a shipping quote. Please remember that vintage & antique items are treasures that have been lived with, loved and used for generations and will show signs of that love and use having minor imperfections and maybe a repair, which means the item has been loved and cherished for many, many years. Don't expect these items to be perfect - the character they have gained over the years and the stories they tell are part of the attraction and charm of these wonderful treasures. Please contact us with any questions or concerns BEFORE purchasing.